Dubuque Roof Repair is a locally owned and operated roofing contractor ready to assist with all of your residential roofing needs. Our experienced team can help with your repair, tear-off, or full replacement. Our services range from fixing a couple of shingles to a complete roof install. Call or text us today for a free, no obligation estimate. We can provide you with the answers needed to make the best decisions for your new roof. There are many choices to consider when deciding to move forward with your roofing project. As a local Dubuque, IA company we are committed to using only the highest quality and longest lasting roofing materials, and the latest roofing installation techniques. Our expert team has the knowledge and experience to ensure that you get superior results at a reasonable price. Asphalt shingles offer durability and cost savings while being the most common roof covering put on homes today. They are aesthetically pleasing and offer color and design options that add style to any residence. It may be time to replace your shingles if they are cracked, cupped or the edges are curled up. Less popular roofing options include metal, rubber and many other materials. Let our team help you make the right decisions when looking to get the most value out your roofing project. 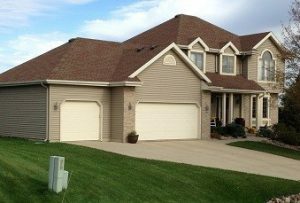 Dubuque Roof Repair uses only premium materials while providing a variety of styles and colors to choose from. 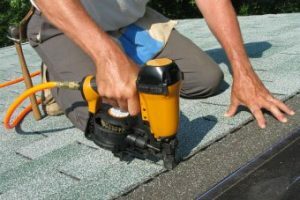 Your roof pitch is also a determining factor when making product choices, as well as which installation technique is best. Whether you have a very steep roofing system or a low sloped roof, we can provide options for a simple repair or a complete replacement. With so many types and varieties of vents, flashing, skylights and much more, we can offer solutions for a maintenance free roof for many decades. Contact us for a no obligation quote and let us help you get started today. Dubuque Roof Repair is budget-friendly and offers tremendous value at a reasonable price. We also understand that a new roof can be costly and many homeowners will want financing to help proceed with the install. 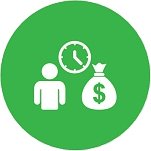 We can explain our different financing options that will work with your budget and help make the process as simple as possible. Let us show you how easy it can be. We are located at 3020 N. Cascade Road in Dubuque, but also serve Dyersville, Manchester and Galena, IL along with every city in between. We are dedicated to being the #1 roofing restoration company in the area, offering unmatched service, quality and price. Call us today for your free estimate.